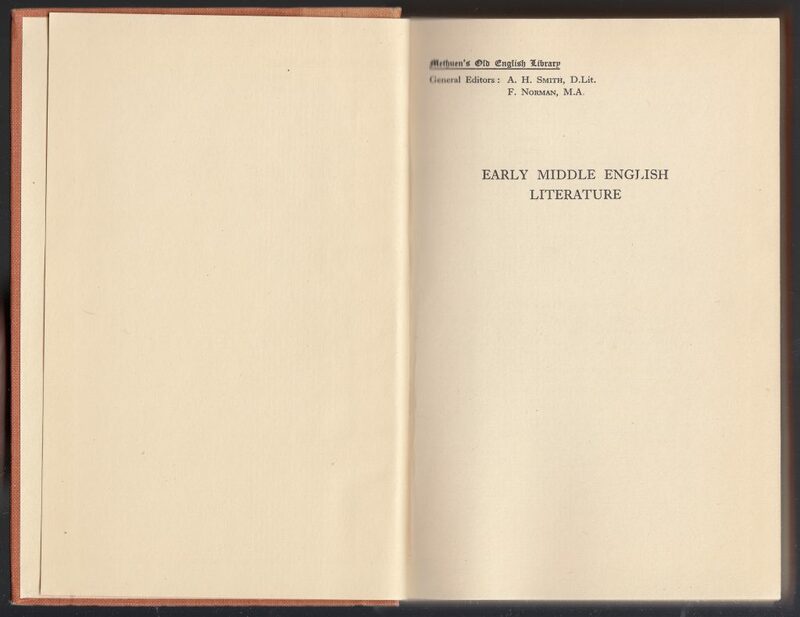 Methuen’s Old English Library series began in 1933 and consisted of literature, criticism and reference titles related to the early English language. The last new title, the 24th in the series, was published in 1977. Reprints by Methuen appear through 1991. Appleton-Century Crofts published a dozen or so of the titles in the 1960s, and a few specific titles were published in the US by Holt, Barnes & Noble, and Harper & Row. 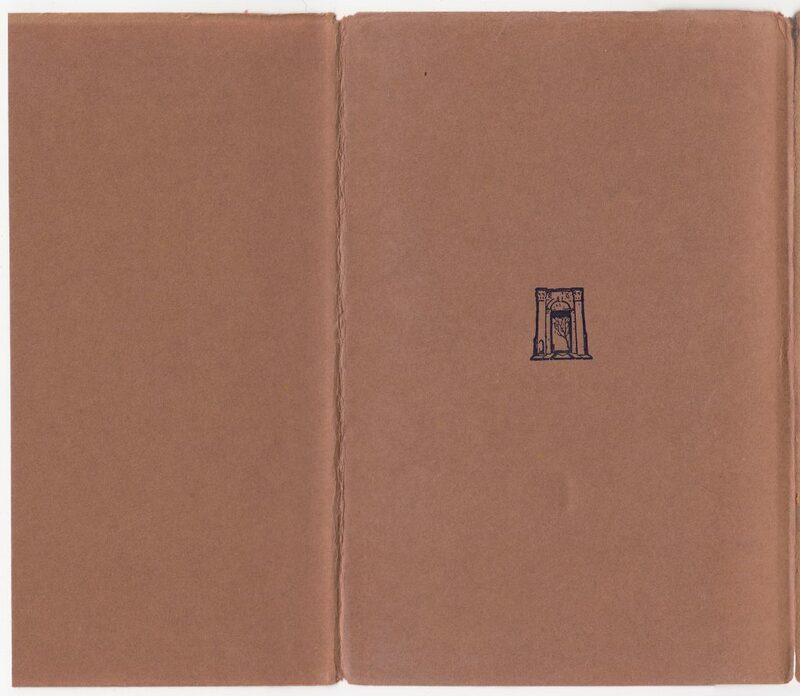 The rear of the jacket contains only Methuen’s colophon. The rear flap is blank. 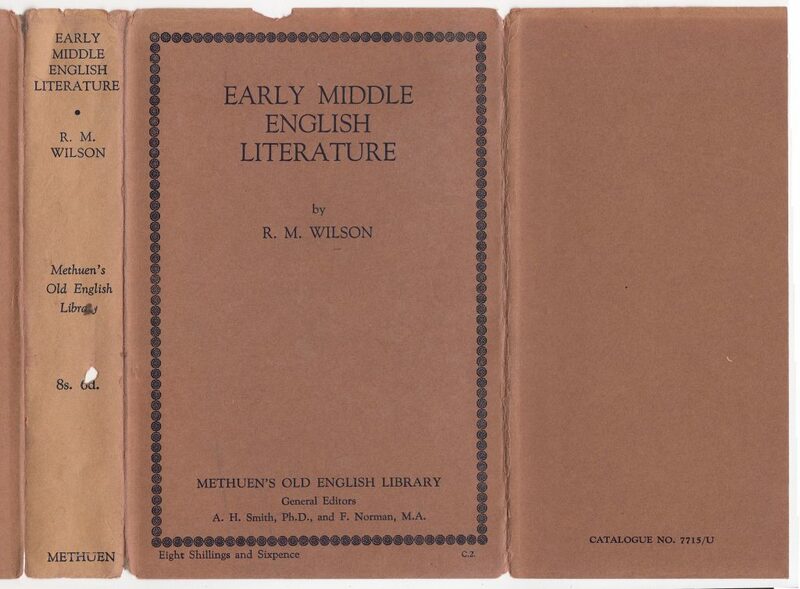 Solid cloth bindings in orange with the title, author, and publisher printed on the spine. 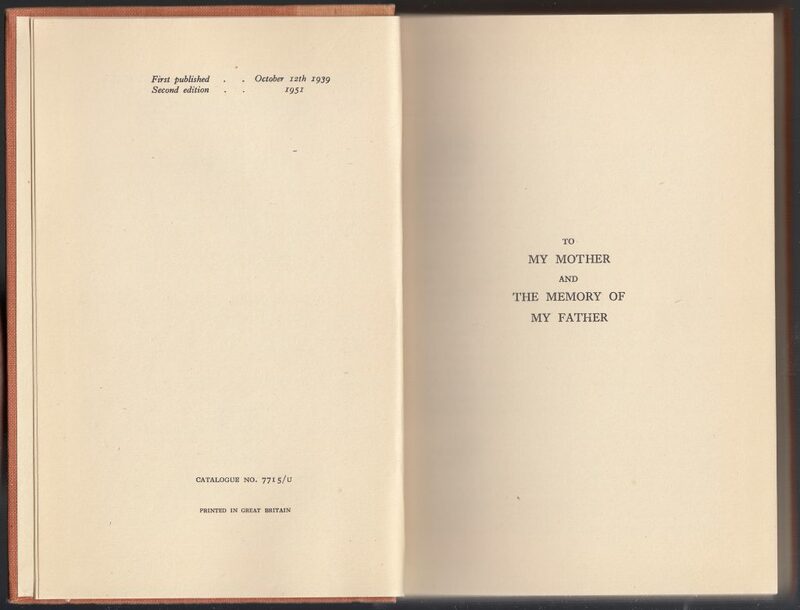 The half title page includes the series name, general editors, and book title. A list of titles in the series faces the title page. As of the printing of this book (1951), ten titles are listed. 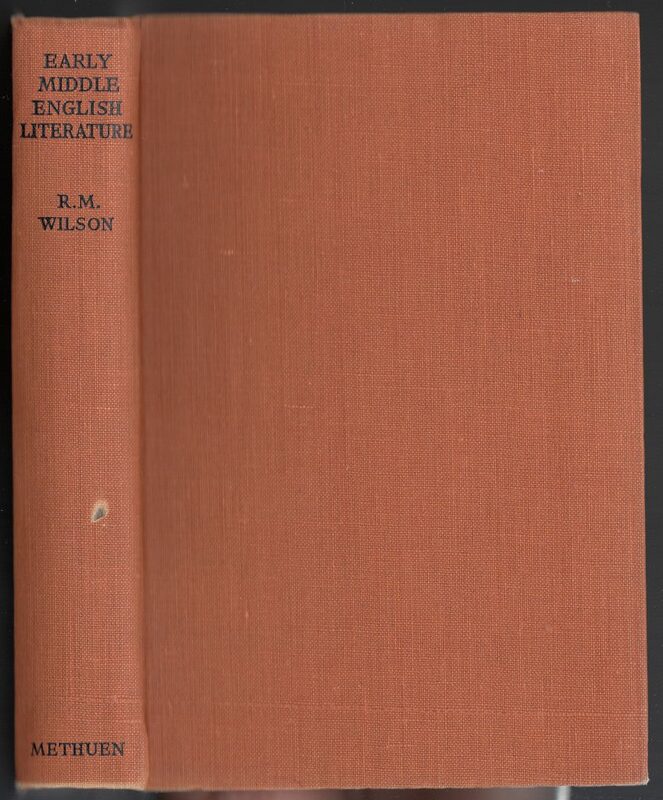 One more (Beowulf and the Seventh Century, by Ritchie Girvan) was published in 1935, but apparently no longer available in the series. Dates for books in the three sections (below) are the first year of publication. 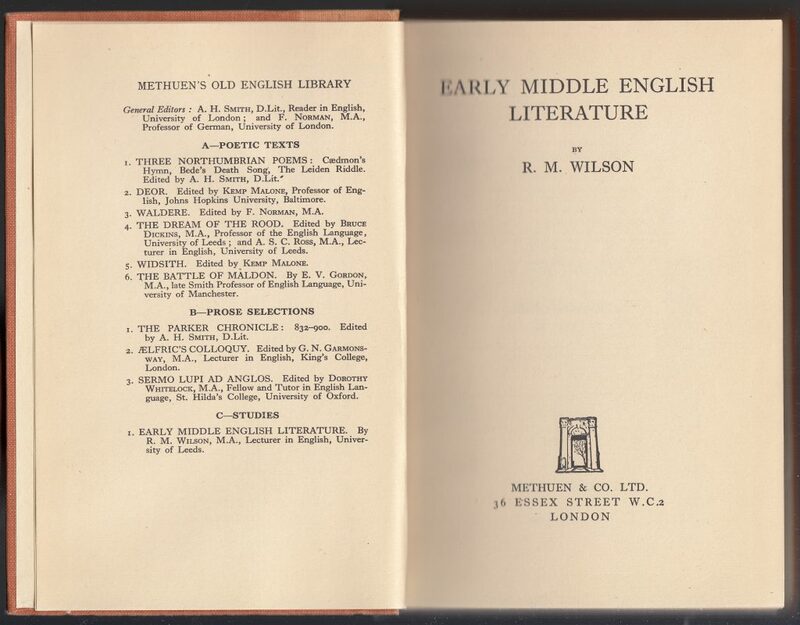 Additional titles published from 1935 to 1977 follow. By this accounting, the series had a total of 24 titles published from 1933 to 1977. 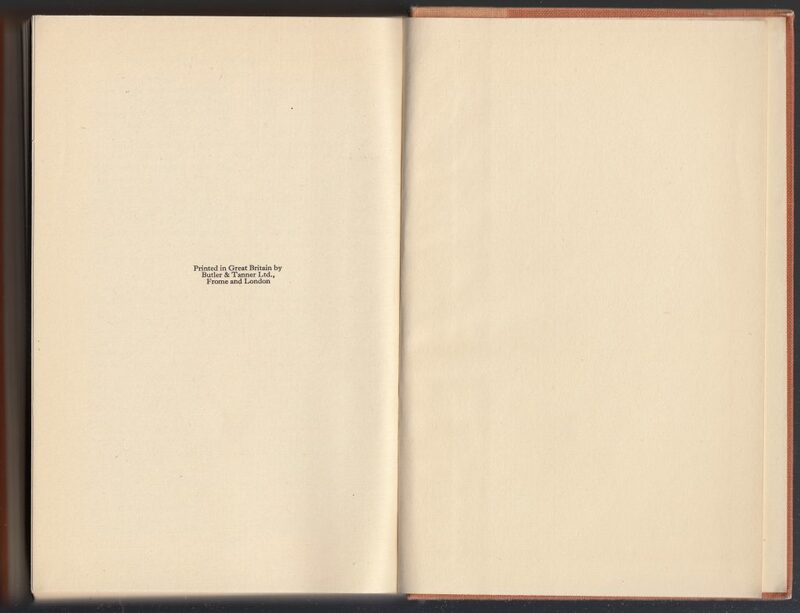 1935: Beowulf and the Seventh Century, by Ritchie Girvan. The book was “Printed in Great Britain by Butler & Tanner, Ltd., Frome and London.